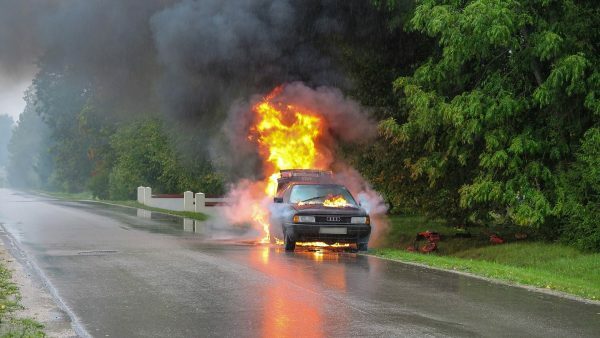 Home › Advice › Do you need to carry a fire extinguisher in your car? What sort of fire extinguisher do you need? A dry powder extinguisher with a rating of ABC will accommodate all these scenarios; dry powder extinguishers with a BC rating are OK. Car fire extinguishers have a similar capacity to regular fire extinguishers, but they are more compact. An extinguisher or 1-2kg will be sufficient to extinguish most car fires; if it’s a large car, pickup truck or van, carry a 2kg powder extinguisher. You can use the fire extinguisher rating to determine how much coverage you get. E.g. a rating of 18B means that it will cover 18 square feet. For A ratings, the number means 1.25 gallons of water, e.g. 4A = 5 gallons of water equivalent. Class C fires don’t have a rating. Are you legally required to carry a fire extinguisher in your car? If you are driving a private motor car then you are not required to carry a fire extinguisher in the UK, but you are in some European countries such as Belgium, Bulgaria and Poland, so check before you go. It is recommended that you carry a fire extinguisher. An employer has to satisfy a number of legal requirements to keep its employees (drivers) safe. While company vehicles can be classed as a ‘workplace’ there is no law that says a fire extinguisher is mandatory in a company car. However, if a risk assessment has been conducted and the driver’s regular duties give some exposure to the risk of fire, it is prudent to install one. Larger trucks and vehicles that carry dangerous goods or chemicals will have separate regulations governing the type of fire extinguisher(s) that must be present. If you have a car you use for racing (e.g. clubsport or rallying) then you will need a fire extinguisher. How do you put out an engine fire? An engine fire is the most likely type of fire you’ll experience in your car as you’ve got hot oil and electrical system. Petrol in the tank is less likely to catch fire unless it’s punctured in an accident or the fuel lines spslit as it’s sealed and there is no ready source of oxygen. There is a chance that a hot exhaust system could cause dry grass to ignite if you park on it. It’s the source of oxygen that is the problem: if you have (or suspect you have) an engine fire, don’t open the bonnet the whole way otherwise you’ll feed the fire with a load of oxygen, causing it to flare up. Simply switch off the engine, pop the bonnet, stick the nozzle of the extinguisher through the gap and spray it liberally. The chances of an accidental fire are fairly low. There were 11,555 in the UK to the year ending September 2017. 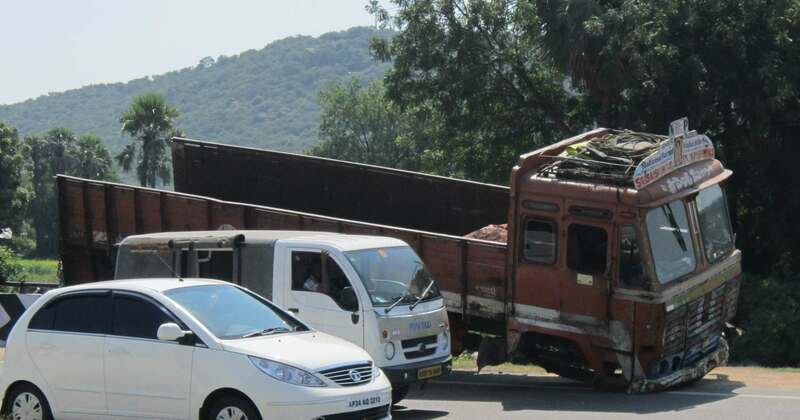 ‹ What should you do if your lorry breaks down?